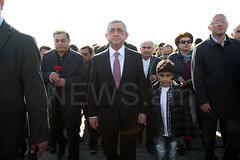 On 21 March, teachers and schoolchildren of the secondary school of Avshar village came to the government building, transmitted letters addressed to Premier Nikol Pashinyan and met with government officials with the demand for the resignation of the school’s Principal Hermine Andreasyan. “Later, we went to the presidential residence where we met with one of the members of the President’s staff and transmitted letters. 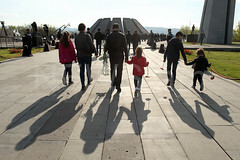 We were joined by parents, teachers and high school students,” the schoo’s vice-principal Regina Simonyan told NEWS.am. Teachers and schoolchildren of the secondary school of Avshar village have been protesting for over a week now, and the situation remains tense. Nearly 500 schoolchildren are on a student strike. Teachers and the children’s parents demand Principal Hermine Andreasyan’s resignation, alleging that she discriminates specialists and is disrespectful.